Saying he is "determined to restore fiscal responsibility" and will resist any legislation that would increase the cost of living, Republican Lt. Gov. 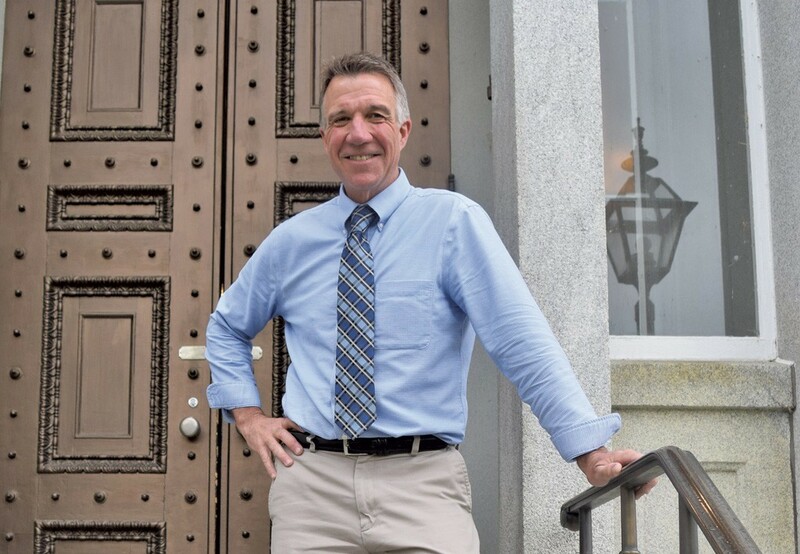 Phil Scott announced Tuesday he's running for governor. Scott, in an email announcement, said he will be forming a team and raising money in the coming months for the 2016 campaign, with an official campaign kickoff sometime in the fall. He has about $100,000 left over from last year's lieutenant governor race and this summer sent out fundraising appeals as he was making his decision. Scott will be in a primary race with at least one other Republican candidate, retired Wall Street executive Bruce Lisman. Two Democrats — House Speaker Shap Smith (D-Morristown) and former state Sen. Matt Dunne — have also announced their candidacies. Democratic incumbent Gov. Peter Shumlin is not seeking reelection after three terms. Scott focused most of his announcement on economics. "I	will	be a steady	hand	at	the	helm, provide balanced	leadership	that	values	listening, stand	up	for	working	families	and	confront	our	crisis	of	affordability in	meaningful	ways," he said. "Practical leadership	that	delivers — instead	of	over-promising — will	rebuild	faith	and	trust	in	government	and move Vermont	forward	in	very positive	ways." Scott, 57, of Berlin, grew up in Barre, and graduated from Spaulding High School and the University of Vermont. He has been lieutenant governor since 2011. He represented Washington County in the state Senate for 10 years before that. He co-owns DuBois Construction — a Middlesex excavating company — and has raced cars at Thunder Road International Speedbowl since 1992, a hobby he likely would have to give up if elected governor. A popular moderate, Scott has been accused of often avoiding hard stances on issues such as health care and government spending, and of being unwilling to stand up as an opposition leader to the Democratic majority in Montpelier. In his announcement, Scott emphasized "commonsense cooperation," but called for a new direction. "Unfortunately,	commonsense	cooperation	among	a	minority of	public	servants hasn’t	been	enough to	steady	and	steer	Vermont	toward	greater	affordability," he said. "Too many have	eagerly	wagered	our	future on	outdated	or	unproven	policies, and	continued to 'double	down' with	your	money when	those	bets	haven’t	paid	off. The	bottom	line	is this:	It	is	time	for Vermont	to	move	in	a	different	direction, beginning	with	a	change	in the governor’s	office."